With a script adapted by John Donnelly from his three act stage play, the film follows their subsequent lives and careers through act 2 – five years later – and act 3, which is set ten years after ‘the kiss’. The storyline shows how one small moment can have a huge impact in one’s life. A great performance by Tovey (The History Boys, Him & Her, Being Human) leads a small but confident cast in Williams’s well-directed first feature film. 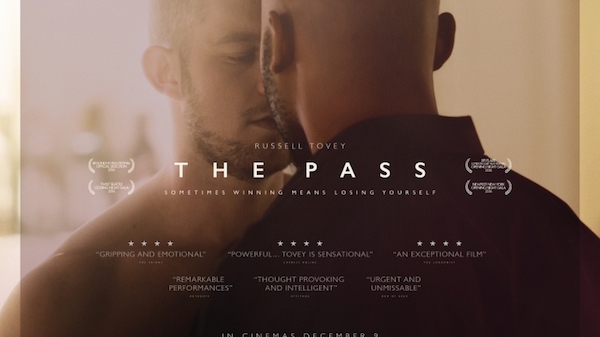 Some reviewers have criticised The Kiss for being ‘a film of the play’, failing to exploit the wider canvas film offers to break free of the confines of a stage. (Preminger’s approach in taking Carmen Jones, recently screened at David Lean, out of the theatre and into the wider world is a good example of this.) An alternative view is that confining the action and actors to claustrophobic hotel rooms is metaphor for the closeted lifestyle of today’s ‘too-much-too-soon’ young footballers. Here is the Londonist Review, dating from the film’s first appearance at the LGBT Film Festival in early 2016.